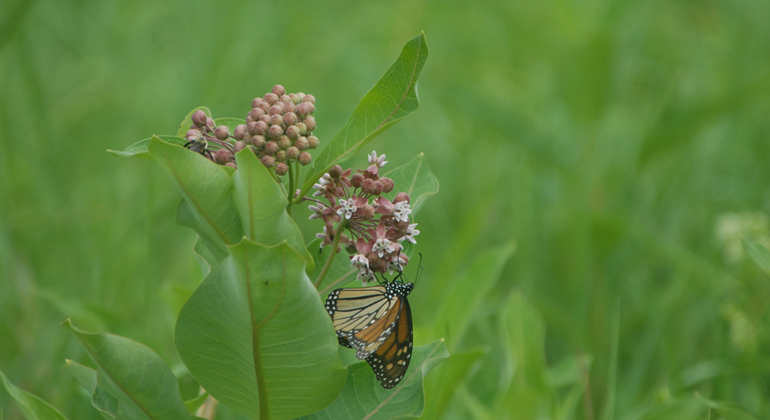 In the summer Monarch habitats are found throughout the USA & Canada, including Vermont. Monarchs migrate to Mexico for Winter. In the last 25 years, illegal logging has destroyed 75% of the winter habitat for the monarch butterfly. The monarch butterfly population is down over 90% in both North America & Mexico due to habitat destruction. That’s a loss of over 900 million butterflies since the 1990s. That’s why for the past several years we’ve been working to help restore the Monarch Butterfly population in Vermont. Once found in every back yard, you’ll be lucky to spot a Monarch these days. So what are we doing? 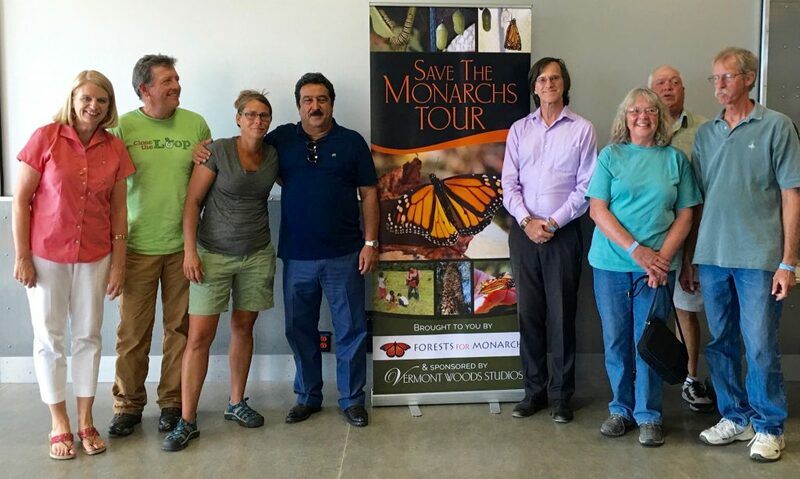 Vermont Woods Studios Founder & CEO, Peggy Farabaugh, has partnered with Jose Luis Alvarez, Founder of “Forests for Monarchs” in Mexico. She serves as Vice President of the non profit and leading efforts to restore the monarch butterfly habitats in Mexico and Vermont. We are raising awareness of the problems the Monarch’s face from illegal deforestation in Mexico and the use of toxic herbicides that are destroying monarch summer habitat accross North America. 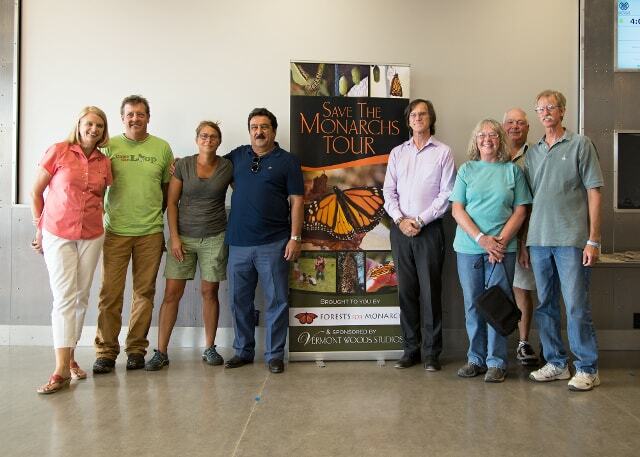 We hosted a "Save the Monarchs " Tour in August 2016 with Jose Luis to discuss the threats facing the monarch butterfly, forest conservation, milkweed growth and more. We stopped at the Massachusetts Horticultural Society, Museum of Science-Boston, Arnold Arboretum of Harvard University, ECHO, Leahy Center for Lake Champlain, Yale's Marsh Botanical Gardens, Audubon Greenwich and the Philadelphia Zoo. 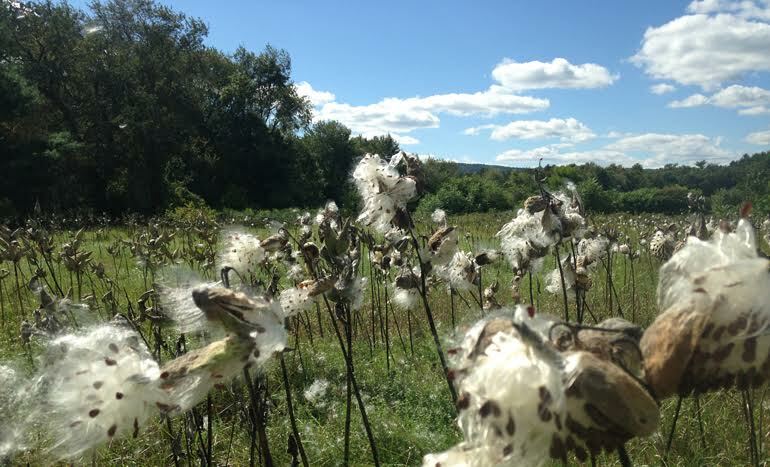 Vermont Woods Studios staff members have collected millions of milkweed seeds which we plant and distribute throughout our area. Milkweed is the only plant Monarch Butterflies eat as caterpillars. 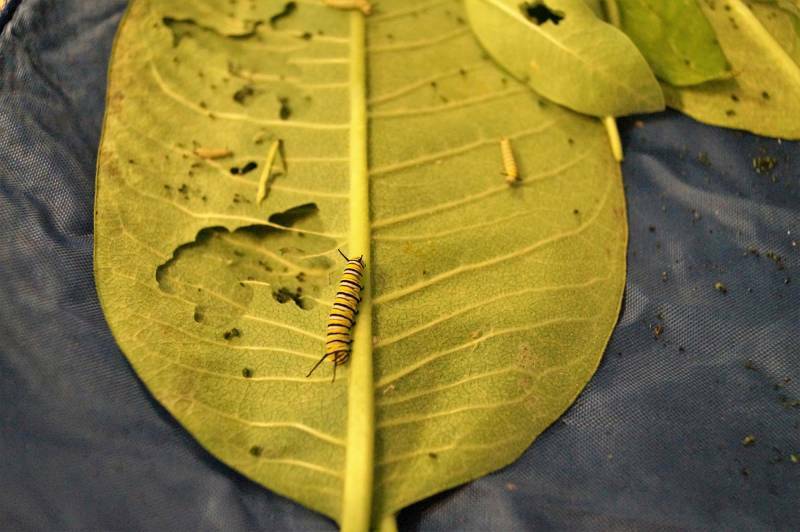 We adopt monarch caterpillars and share the wonder of their metamorphosis with children and adults in our community. You can learn more about our mission to save the monarchs on our blog. For every furniture order we plant 2 trees in the monarch butterfly's winter habitat in Mexico. Jose Luis and his team have planted almost 6 million trees in Mexico. In the picture to the left, the red arrows are showing areas that Forests for Monarchs has reforested. Plant milkweed in your garden or backyard. Have a party and invite your friends and neighbors to help! Want to help us save the Monarch’s winter habitat. For every dollar donated to “Forests for Monarchs” our friend Jose Luis Alvarez will plant 2 trees. Visit the Monarch’s winter habitat and take Jose Luis’ Spirit of Butterflies tour. It’s a trip you'll never forget. We promise! Monarch Watch estimates we’ve lost 147 million acres (an area 4 times the size of Illinois) of summer habitat in the USA & Canada since they began monitoring in 1992. Over the last couple decades the population has declined by over 90% leaving the monarch in imminent danger of extinction. Once a billion butterflies strong, there are now only about 50 million and the need to conserve their habitat is urgent. With seven states including Vermont calling it their state insect, it’s a wonder how we’ve let the monarch butterfly population reach the endangered zone.